Finally it’s time! After five years of digging, blowing up 500,000 cubic metres of rock, pumping hot and cold water, and a sophisticated ventilation system, the 7.5-kilometre-long tunnel through Vadlaheidi Mountain, east of the city of Akureyri, will soon be open to traffic. This will, for example, shorten the distance along the ring road between Akureyri and Husavik or between Akureyri and Lake Myvatn by 16 kilometers. In addition, the tunnel means that it is no longer necessary to climb a 350-metre-high pass, which was often problematic for traffic in winter. The tunnel is to be opened in 2018 – with a delay of around two years. Originally, only three years of construction were planned. But there were a few unpleasant surprises and risks during the construction work. During drilling at a depth of about 2 km on the west side of the mountain (opposite Akureyri), for example, geothermal water was encountered unexpectedly. It came out at about 50 litres per second and a temperature of 55 °C and filled the tunnel with steam. During the work on the tunnel on the other side of the mountain, a large cold water source was cut after an excavation of approx. 500 m, which filled the sloping tunnel with water within a few days. The machines could just be rescued before they sank into the water. But the work continued. The tunnel excavations were completed a few months ago. At the moment, there is only residual work left to complete the access roads. This work is almost complete. It remains to be seen who will bear the additional costs of this miscalculated project. By the time this has been determined, the tunnel will have been in operation for some time. In addition to tunnel construction, there is also a need to improve the traffic situation in the north of Iceland in other places. This is increasing the pressure on the government to provide more funds to improve escape routes and controls for Akureyri Airport, which is constantly attracting more visitors. Akureyri Airport (AEY), along with Egilsstadir (EGS), Reykjavik (REK) and Keflavik (KEF), is one of Iceland’s international airports. In the coming years, direct flights to AEY will be offered from some European airports. 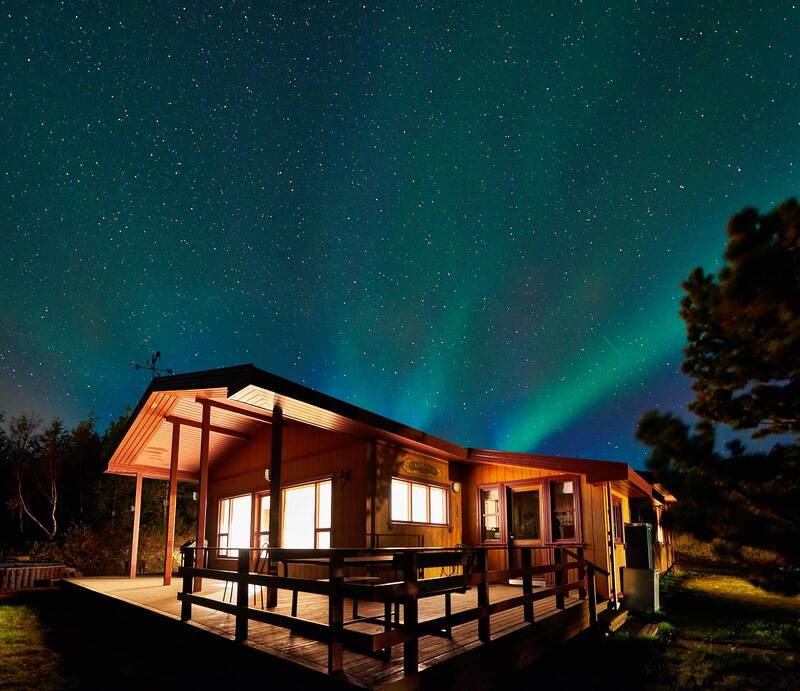 This improved transport connection will make it easier for many guests of Nordic Lodges to reach our holiday home Hamragil in the north of Iceland faster and easier than before. A trip to Akureyri for shopping, to one of the cafes or to a cultural event will also be quicker and easier than before. 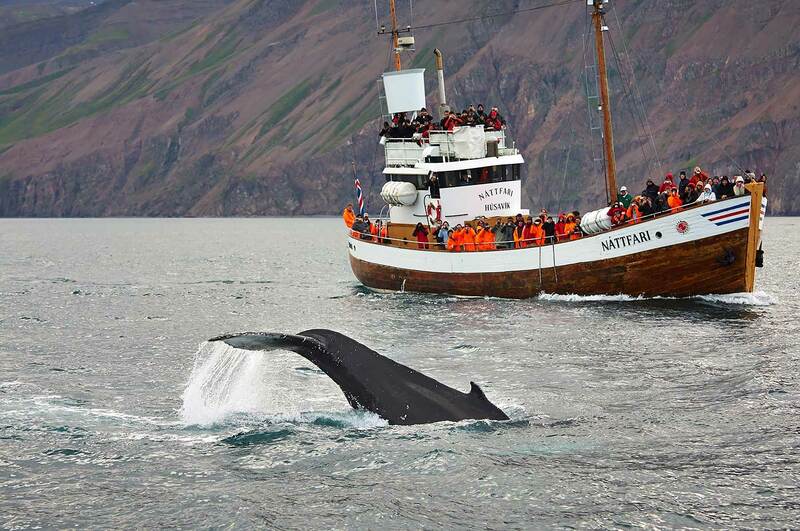 For animal lovers, the whale watching route in the Eyjafjord (whales.is) will be considerably shorter. For visitors from all over the world: Come to our holiday home Hamragil and enjoy the freedom of the north!